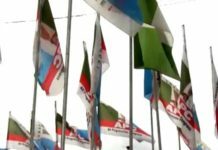 Through a critical appraisal of the conduct and character of the Vice-President, Prof Yemi Osinbajo, and Governor Okezie Victor Ikpeazu of Abia State, starting from the moment they assumed leadership positions under the current administration, a discerning mind will objectively deduce a model stirringly redefining governance in the Nigerian multi-party democracy. While Osinbajo had before his vice presidential elevation spent years under the services of Lagos State government, Ikpeazu, similarly parades an enviable profile suggestive of excellence and patriotism as he also served in different capacities under the Government of Abia State. 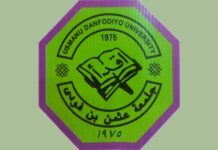 As university teachers, the duo had added to their towering profile, an excellent academic record in learning, teaching, mentorship, scholarly research and knowledge-transfer. They have also through academic engagements made valuable supplies of manpower to the Nigerian labour market. While Osinbajo is a Professor of Law at the prestigious University of Lagos, Akoka, Ikpeazu on his side meritoriously disengaged from the academic radar of the Enugu State University of Science and Technology (ESUT) in 2002 as one of the youngest Heads of Department of Biochemistry. Ikpeazu studied and obtained his first and second degrees as well as PhD in Biochemistry, from the University of Maiduguri and University of Calabar respectively. The inability of our leaders to detach politics from governance has, no doubt, affected democratic growth and retrogressively slowed down development. 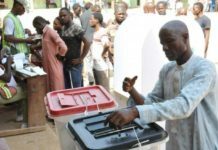 This was obviously inherited by the present All Progressives Congress (APC)-controlled Federal Government, witnessing a tension-soaked and contentious 2015 general elections that dislodged the Peoples Democratic Party (PDP) at the centre. 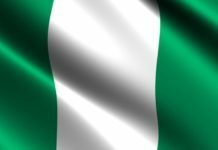 President Muhammadu Buhari is not seen to have patriotically summoned the required courage that could change this nagging but ugly narrative in our fledgling democracy. This, on the other hand, is absolutely not the story with his second in command in Aso Rock. Osinbajo has, overtime and through a palatable conduct and character, shown classical examples of how leaders with diverse political background could form a government and work towards delivering good governance to the citizenry, without being seduced or influenced by partisanship. Recall when President Buhari was ferried outside of the country under a medical vacation that kept him away for several months, it took Osinbajo’s non-partisan dexterous exhibitions to douse the already beclouded tension and tribal agitations, heightened by the perceived jingoistic body language and divisive utterances of the president. The vice-president had strategically toured round some states to, among other things, appeal for peace and cohesion; deliver hope-inspiring promises as well as calmed frayed nerves with subtle and disarming messages. He persuasively engaged virtually all stakeholders in the Niger Delta and oil-producing states to officially reassure them of their inalienable stake, derivations and rights under President Buhari’s administration. 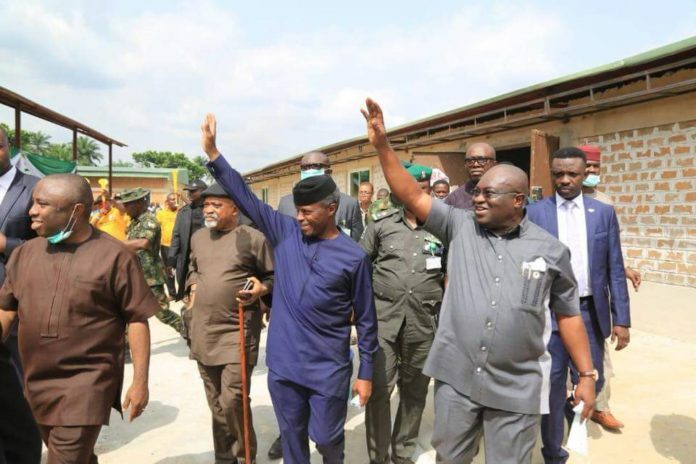 These patriotic trips of Osinbajo successfully disarmed the militants who dangerously had resumed hostilities in the volatile oil-producing region, and further averted the looming disaster that could have grounded the nation’s oil-driven economy. With the Social Investment Programme of the Federal Government domiciled in the Office of the Vice-President, Osinbajo officially undertakes the onerous responsibility of engaging the APC, PDP and All Progressives Grand Alliance (APGA) governors and their respective states, to ensure direct impact of these people-oriented programmes on the people. This, instinctively, draws the vice-president to a closer circuit wherein he statistically accesses, scales and monitors the preferences and commitment of these governors to their people. While also periscoping Ikpeazu’s style and approach to governance, near similarities of Osinbajo is optimally established. Despite nagging challenges and systematic obstacles inherited from past administrations, the Obingwa-born university teacher has responsibly shown character, maturity and unbiased disposition in superintending the affairs of Abia since he assumed responsibility as the governor. Though a PDP governor, Ikpeazu symbolically dismantled all partisan barriers as he carries all stakeholders and leaders along in the act and business of governance of Abia State. He mutually recognises, engages and equitably patronises all Abians, thus giving sense of belonging to all deserving citizens. That Ikpeazu’s patriotism and non-partisan approach to governance is beginning to change the Abia narrative is just to say the least. The governor has righteously neutralised and subtly disarmed the key opposition parties in the state through a brotherly engagement of some useful actors in the revolutionary process he once initiated, to remodel Abia into an infrastructural hub and theatre of good governance. 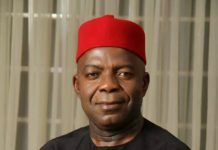 This approach largely perceived as one of the major reasons for the governor’s rising support for 2019 re-election is cutting across party lines in Abia, and has roundly promoted peace, harmony and cohesion amid party politicking. Besides this common democratic ethos of VP Osinbajo and Governor Ikpeazu, of what benefits are the relationship and partnership to Abia and her citizenry? Is the relationship sustainably offering dividends that may outlive the stay of the duo in office? Is the relationship democratically championed to respond to the yearnings and common aspirations of Abia people? Answers to the above posers are indisputably in the affirmative. Just recently, the Minister of Power, Works and Housing, Babatunde Raji Fashola, who came to Abia for projects inspection, admirably eulogised Ikpeazu for comparatively identifying and using Abia’s areas of advantage as veritable tools of attracting and wooing the Federal Government in partnership. The minister’s submission was obviously a direct reference to the first-ever campaign launched to promote Aba made goods, which foresightedly aligns with FG’s policy on local content and indigenous manufacturing. This unwavering commitment being shown by Ikpeazu in promoting entrepreneurship skills and general commerce in Aba advantageously became the magic wand that jolted Federal Government’s intervention and provision of basic amenities, including steady power supply to artisans and traders in Ariaria International Market. Fashola was also categorical by explaining pointedly that it was as a result of Ikpeazu’s intense campaign for Made-in-Aba goods that ultimately necessitated the installation and distribution of electricity in Ariaria, with about 37,000 shops already benefiting from the steady power supply in the market; while the second phase is packaged to cover about 50,000 shops. This is an achievement one could attribute to the non-partisan relationship existing between Ikpeazu, Osinbajo and by extension the APC-led Federal Government, which is redefining governance in Abia. It is equally gratifying to note that Abia has immensely benefitted from the federal school feeding programme, N-power stipend payable to unemployed graduates, and other direct social and skill acquisition programmes encapsulated under the Social Investment Programmes and coordinated by the Office of the Vice President. According statistics, Ikpeazu, without making noise, has reasonably driven the God’s Own State to adequately benefit, even more than some APC states, from the table of the Vice-President of the Federal Republic of Nigeria. While the FG’s social programmes are somehow politicised in non-APC controlled states, the case of Abia remains outstandingly different. 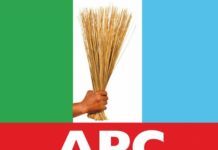 Nothing could have happened if the vice-president had politically channelled the dividends of these programmes to Abia chapter of APC, as a form of patronage from the Federal Government. But, The Redeemed Church pastor and Senior Advocate of Nigeria would not resort to such method, for obvious reasons. The vice-president, indeed, has a way of separating governance from partisan politics. He believes that the game of politics stops with the election of successful candidates into positions of authority. The next action is strategic collaborations and partnership expected to drive good governance at all levels. Osinbajo didn’t need further tutorials before he created a conveyor belt with the constitutionally established Abia State Government under the PDP and Dr Ikpeazu. This is even as Ikpeazu was too early to declare, noticeably, a non-partisan approach to governance. He has operated above partisanship in the discharge of his official engagements and services to Abia people, as he continues to create unlimited opportunities for all, regardless of diverse party affiliations. This may have subjectively prompted the love of the vice-president for the governor and the consequential synergy that presently champions good governance in Abia. Indeed, Ikpeazu’s visionary declaration and non-partisan approach to governance was all he needed to attract extra dividend and complimentary support from the APC-controlled Federal Government of Nigeria.